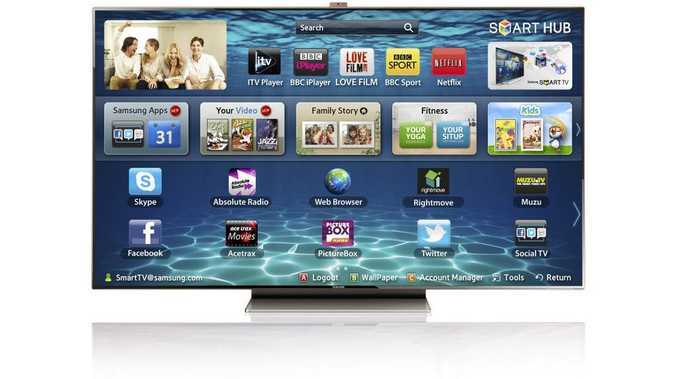 Smart television offers a greater viewing choice and puts you in control of what you watch. WE recently got a new TV. And by that I mean, we recently waved a fond farewell to our gargantuan 80-centimetre analogue Panasonic and replaced it with a 55-inch Samsung LED flatscreen mounted to the wall. The chalk-and-cheese transformation has been astounding. It was as if we were witnessing the extinction of the dinosaurs at the hands of a sleek new super-race. All of a sudden it feels like the loungeroom can breathe with that behemoth in the bin. It is a beautiful piece of technology, and I know how to confidently use about 2% of its features. One of those that I am quite liking is the ability to pre-record TV (it's the small things). However, baldness by my own hand is looming as a very real threat. I am tearing my hair out in anger over missing the ends of every show I tape. Which team was eliminated on The Amazing Race? No idea. How did that movie end? I'll have to Google it. And Extant the other night finished with Goran Visnjic's character saying excitedly "you know what we need to do? G-" before cutting out a nanosecond later. We have tried recording the show after the one we want to tape in the hope of catching every last minute of the one before, but even that didn't work. It's a timeshifting travesty! This cutting-short is leaving me short-changed. Does anyone out there have the answer?